Many email marketing myths can be found on the Internet. They read as facts and serve to confuse the novice looking to promote their business and establish a mailing list for their business promotion. One myth that has been going around about email marketing is that you have to pay for it in order to be successful. These myth makers tell you that emailing is time consuming and you will never get a list if you try to gain it naturally. The fact is that email campaigns are free if you draft them. They are free if you use your current email or a free email service. It is both true and false that it is time consuming. Right now you probably do not like seeing that, but the truth is if you use a free email service you have fewer options in sending out your email campaign. You usually have to set up groups, choose the right group, and then you have to draft it, and send it. So it takes time. Now, if you want free and less time then you have to admit that the deduction you receive on your taxes from paying for an email service is actually going to make it better. Anytime you have a business or office expense you can deduct it like Internet and software purchases. This means you can actually save money during tax time to purchase an email service that is going to make your email marketing less time consuming. Why is it less time consuming? You be unaware of what email services can offer you. Outlook, marketing software, and other programs for emailing can offer you a scheduled release of the email. You will need to draft the email. You’ll create the newsletter, email body, coupon or whatever you wish to send. So this part will still take your time and effort. You still need to choose the group of people receiving the email whether it is your entire subscriber list or just a set target audience. Next you set the time for when you want the email to release. Say your business is a little slow the whole month of August. You are not getting any sales. You are rarely seeing anyone come into your business site. You have all this time to think, plan, and you’ve got it—set up your entire holiday email campaign and then some. When you can schedule all your marketing ahead of time for the specific release date you want you can save time. Then when you are busy again you simply go back to work as normal. Your email service will make certain to send everything as you want it to. Every lesson has to have a morale right? The morale of this story is that if you analyze any myth, tip, truth, secret, or other posting about email marketing you can find the truth hidden in the words by using a little common sense. You can also find a solution to something that might be time consuming like email sending with a preset date versus the day you wish to send it. 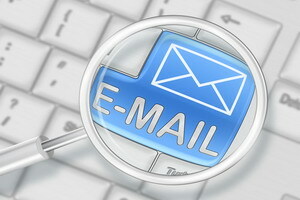 Emails are a powerful tool that will remain in play for businesses. It may take time to build a huge list and following for your website, but once you have it make sure you use it efficiently. There are too many tools out there for you to let them go unused any longer. Let your email list and subscribers have a regular newsletter, coupon, discount, or other communication without compromising your time. The beauty of free time at work is to fill it with planning ahead versus trying to fit everything in when you are too busy running everything else. If you feel uncomfortable drafting the information, then an employee you already have may just be the writer you are looking for.